Boston Market was founded in late 1984 as Boston Chicken, right outside of Boston, Massachusetts. Today, the company is the home of about 14,000 employees and has chain locations all over the country. There are over 450 locations at this point, and the restaurant has a large number of devoted customers. Before you apply to work at this company, be sure that you know everything you need to so that you can have a better idea of where you might fit in with the company. Boston Market has several different types of jobs available. These include crew members, servers, carvers, shift managers, assistant managers, delivery drivers, and general managers. Starting pay for entry level positions begins at minimum wage and goes up from there. The average pay for a crew member is just under $9 per hour right now, but it is easy to move up in pay from here once you gain some experience with the company. Delivery and catering drivers average about $11.50 per hour, again, going up with experience and time spent with the company. Supervisors begin at around $10 per hour, averaging $11 per hour with a year or so of experience. Assistant managers make a bit more, starting at $12 per hour, on average. These positions require some experience in a leadership role within another company, or at least a year of time spent working with Boston Market. All of the pay rates mentioned above will vary from location to location, depending on the regulations governing where you live. Corporate roles are also quite popular with applicants. The company’s main headquarters is located in Golden, Colorado, and the headquarters of Sun Capital Partners—the company that owns Boston Market—is located in Boca Raton, Florida. The positions available in these locations vary considerably, and not all positions will be available at any given moment. Some of these include legal positions, clerical, executive assistant, middle management, and accounting jobs. 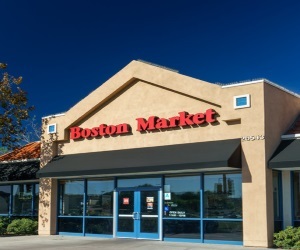 Boston Market is one of the few fast, casual restaurants that serves home style meals. The company has stood out from the competition for many years, and has thousands of devoted employees and even more satisfied customers. The company goes above and beyond to help employees out, besides offering competitive pay. Benefits that are extended to employees include 401(k) retirement planning, health insurance including prescription, vision, and dental coverage, flex spending accounts, and employee assistance programs. Part-time employees also gain access to meal discounts, flexible scheduling, and plenty of opportunities for advancement within the company. To apply at Boston Market, you need to be at least 15 years old for a part-time position. This might vary from state to state depending on local restrictions on employment. Fulltime jobs require you to be 18 years or older. A high school diploma or GED is not a requirement to work here, but it can be helpful, especially if you want to move into a supervisory or managerial position. Boston Market employees are expected to have a high priority for customer satisfaction. Employees should always be at work, and on time. If time off is needed, plenty of advance notice is needed so that managers can compensate with other employees filling in. Customers should be treated with the utmost respect at all times, even in difficult situations. Also, as a food service/restaurant employee, there is a zero tolerance policy when it comes to food safety and cleanliness. Employees are expected to know and follow local health department laws and help the company to maintain the high standards that their customers have come to expect. To get a job with Boston Market, your first step is to apply. Most stores offer paper applications, but the current trend is moving toward the online application. 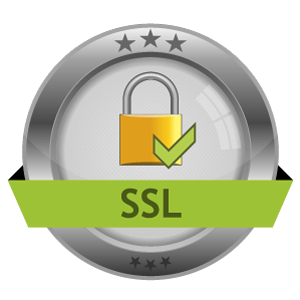 This can be found on the homepage. Just scroll down to the bottom of the page, and under the “Company” header, click on the “Careers” tab. After going to this next page, you can search through all of the opportunities available. You can search by positions, locations, and keywords. Find one that suits your wants and your skill set, and then begin the application process. Be sure to set aside at least 45 to 60 minutes so that you have plenty of time to accurately complete it. At the interview, be sure to dress professionally. You don’t need to wear a suit and tie, but you should look like you are applying for a professional position. Be sure that you answer all of their questions completely and accurately. Preparing for the most common interview questions will help you to do well here. Also, be sure to have a few questions of your own prepared. These will help you to show that you are knowledgeable and serious about the job.